Compare prices from several car hire companies in Malaga Airport and find the best price for car rental. Our prices always include unlimited mileage and insurance. 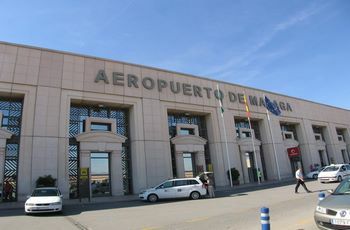 Malaga Airport (AGP) is located approx. 8 km outside Malaga in the south of Spain. There are train connections to several cities and in the summer is set up shuttle buses. You can run the A-357 out of town to the west and turn left at the roundabout to the A-7. This road follows the exit of the N-340. The airport is providing rental cars and taxis. Many tourists use the airport to travel to the idyllic resorts along this popular Mediterranean coast and the airport is the 4th busiest in the country. The number of passengers was more than 11 million in 2009. Airlines include airlines, Lufthansa, British Airways and Aeroflot, while the flights go to cities like Casablanca, Rome, Sofia and Gothenburg. In addition to shops and restaurants, you can visit an aviation museum and an exhibition.